How was Sinn Féin duped into accepting the Good Friday Agreement (GFA)? The terms of the Good Friday Agreement (GFA) that a border poll will only be called by a British secretary of state at a time when they think that it is likely that a majority would vote for unity is ironic in that it suffers from what the Tory Brexiteers and DUP complain about the backstop – there is no mechanism for it to come to an end. Thus British officials who have no electoral mandate here but have a vested, political interest in maintaining the ‘union’ can always say that they don’t believe a majority of the people living in the six counties would vote for a united Ireland. No border poll will take place then and no-one, especially people living in the six counties, can ever legally challenge that. I have a sneaking suspicion that Bertie Ahern and his government was fully aware of this at the time because recent statements from Free State politicians indicate that they don’t want to see a border poll any more than the British. You have to ask yourself, however, how Sinn Féin was advised by some reputedly able legal minds at the time, was duped into accepting such an arrangement. Was it just so demoralised that it was prepared to accept any agreement so that they could hang up their boots? More than 20 years later we still have not had a border poll. If Karen Bradley is so able to predict whether a border poll is likely to be successful, why did she not warn Theresa May that it was unwise for her to call the last general election and then she would not have been so dependent on the DUP to keep her afloat? 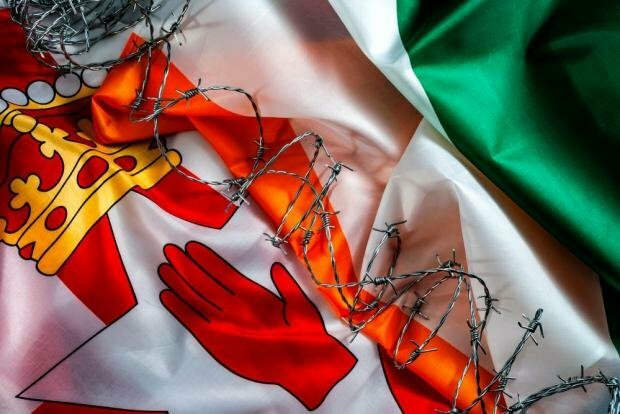 Author seachranaidhe1Posted on February 13, 2019 Categories A United Ireland is InevitableTags How was Sinn Féin duped into accepting the Good Friday Agreement (GFA)?